While there is increasing interest in how transfer partnerships between colleges and universities impact student outcomes, a clear definition of partnerships remains elusive. 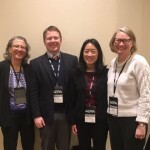 Researchers at the Community College Research Initiative (CCRI) developed a framework that institutions can use to evaluate the quality of existing partnerships, or as a guide for starting new partnerships. Cooperation: Institutions share information with each other to facilitate student transfer between them. Coordination: Institutions align some of their activities or sponsor particular events in order to support student transfer from one institution to the next. 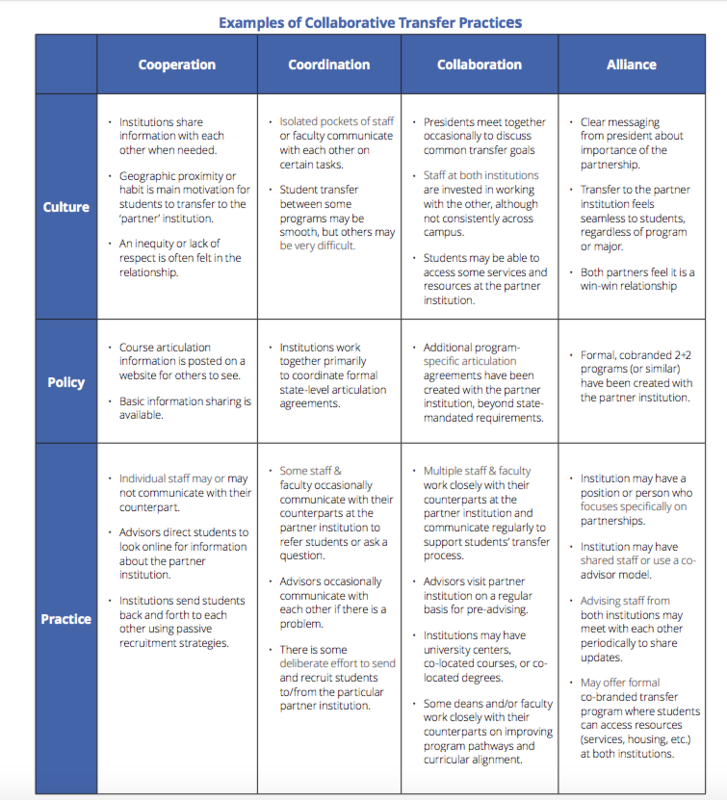 Collaboration: Institutions collaborate to develop common strategies, policies, and/or systems to actively promote student transfer from one institution to the next. Alliance: Institutions integrate some of their procedures to create new programs or structures that create a seamless transfer experience from one institution to the next. For more information about the researchers’ findings and how these frameworks can be used by institutions, download the full PDF below.